The comparison was pretty much all we saw during our previous “issa bop” or “issa flop” post. Iggy earmarked the song as the go-to single for her forthcoming project In My Defense, slated for release in the not-so-distant 2019. If you haven’t heard it yet, here’s your chance at a gander before the conversation reaches a standstill. All signs point to Iggy, JWhite being on the same page regarding the issue. Cardi B hasn’t mentioned “Sally Walker,” in the hours since it debuted. Although similar in vein, the beats are sequenced using different BPMs. 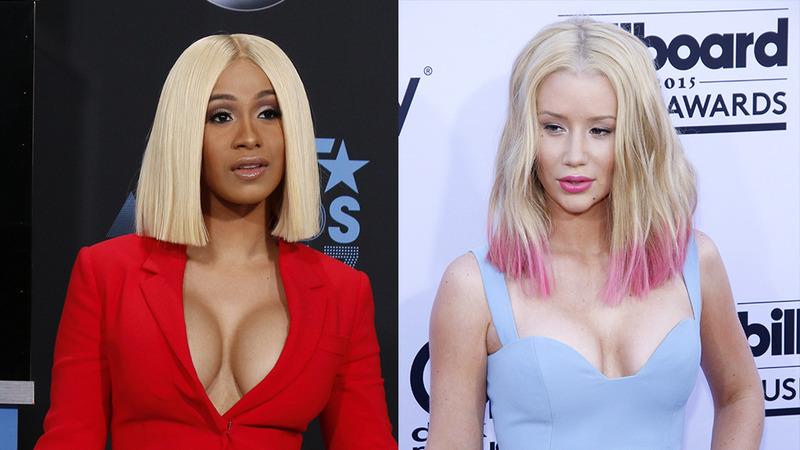 JWhite who also produced Cardi B’s breakout hit “Bodak Yellow” even acknowledged the similarity to “Sally Walker” in his response to a Tweeter who suggested both songs were due for a mashup. What do you make of the likeness? It’s honestly not uncommon for a producer to give artists similar sounds, however, one thing is for sure, both records are undeniably hot.